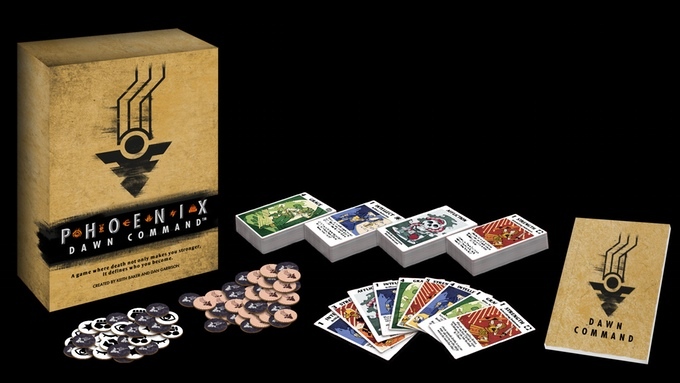 In April, Fantasy Flight Games released Enemies Within, the first splatbook expansion to their Warhammer 40k: Dark Heresy 2nd Edition RPG, to little fanfare. 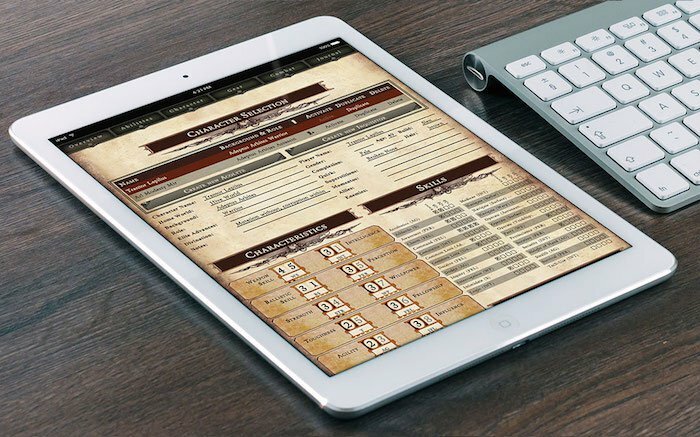 This week, to equally little fanfare, FFG released the Dark Heresy Digital Character Sheet app. Well damnit, there should be some fanfare, because this is awesome. 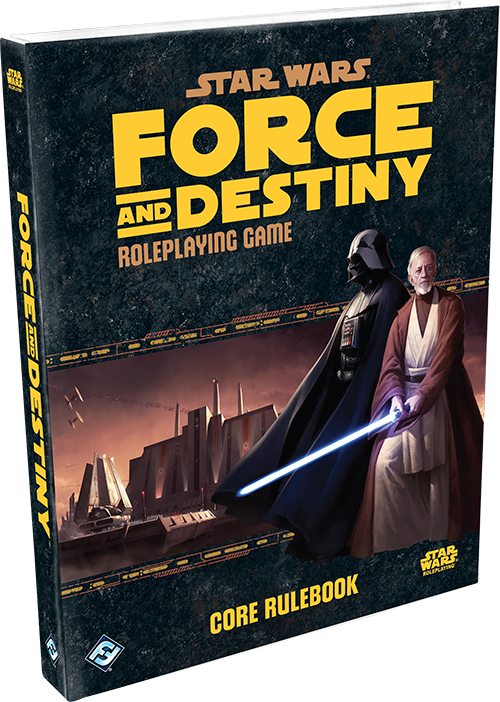 I’ve had a chance to peruse Enemies Within, which overall adds a lot of flavor and additional options for players and GMs without much in the way of power creep (though the Sororitas’ light power armor is a fair concern.) 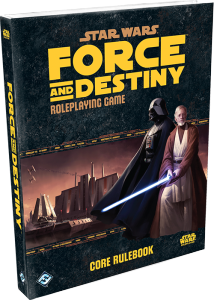 It’s a cool book for all the reasons I love the Dark Heresy line, and easily worth its $39.95 cover price ($19.95 for PDF). If you play DH 2E, you should check it out. But today, we’re going to talk about the app. Nick has some fair points. Lots of people (NPR’s All Things Considered, CNET, and even the Wall Street Journal) have noted the lack of accountability and transparency for Kickstarter, and while I suspect it’s far worse amongst video game developers, tabletop games certainly aren’t immune. The hypocrisy he cites—companies who criticize crowdfunding before they launch their own campaigns—is also worthy of criticism, though I suppose I’m not connected to the right circles to know of any specific examples. These behaviors are obviously unethical, but not unique to crowdfunding. I’m here to talk about Nick’s problems specific to crowdfunding. Tonight, for the first time since I picked up Dungeons & Dragons in middle school, I shared my favorite hobby with my dad. He saw me playing D&D with my friends in high school, and while he was supportive, he never had much interest in learning about roleplaying games, much less participating. 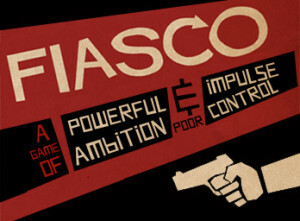 That all changed tonight when, almost 20 years after I first picked up a roleplaying game, I finally played Fiasco with my girlfriend, my dad, and my stepmother. As obsessive card players, my dad and stepmom are no stranger to games. I grew up playing Poker and Cribbage with my dad, and we play hundreds of hands of Pinochle each time I visit them. We also play spirited games of Monopoly, Scrabble, and Boggle. Over the years, we’ve played a lot of games, but we just haven’t played any roleplaying games. So it was with cautious optimism that I sat down with my girlfriend, my father, and my stepmother last night to play Fiasco. They’re both movie buffs who enjoy the Coen brothers’ films, so I tried to explain the concept in cinematic terms: we would be, collectively, the writers, directors, cinematographers, and actors in a Coen brothers movie set in the Wild West. 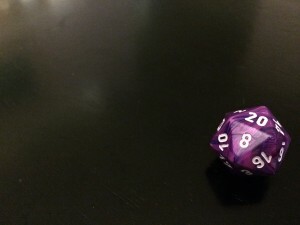 We would use dice to determine some details, but all of the decisions were ultimately in our hands in a directed improv style. Not quite sure what we getting ourselves into, we embarked on our journey.